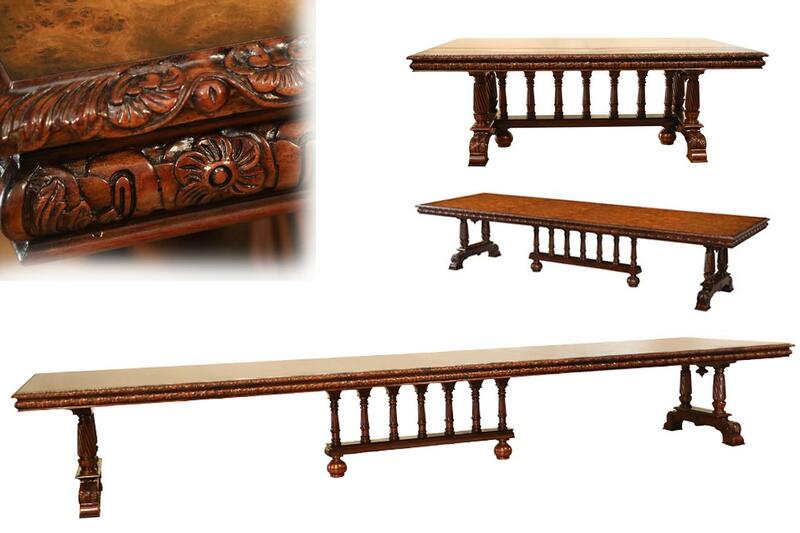 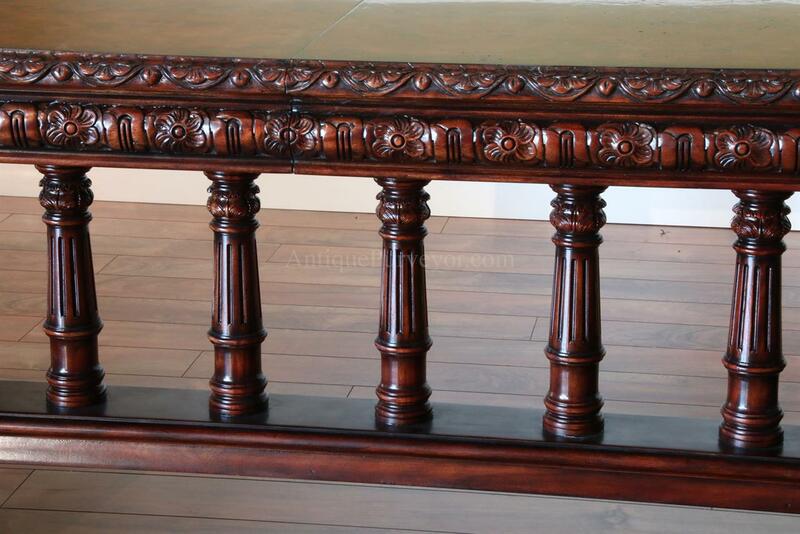 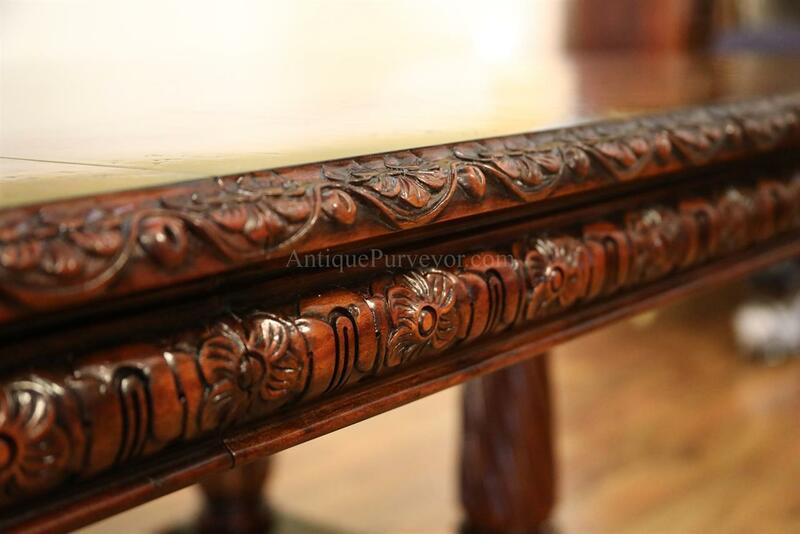 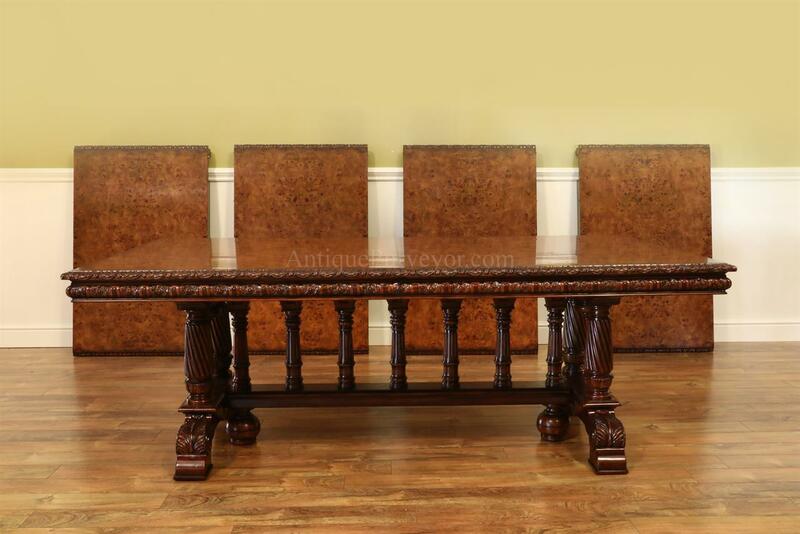 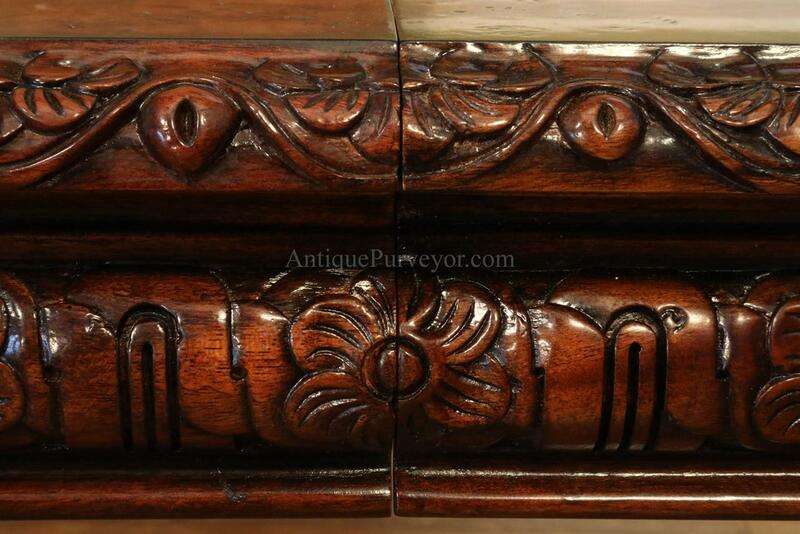 Description: Finely carved Mediterranean style extension table for the dining room or conference room. 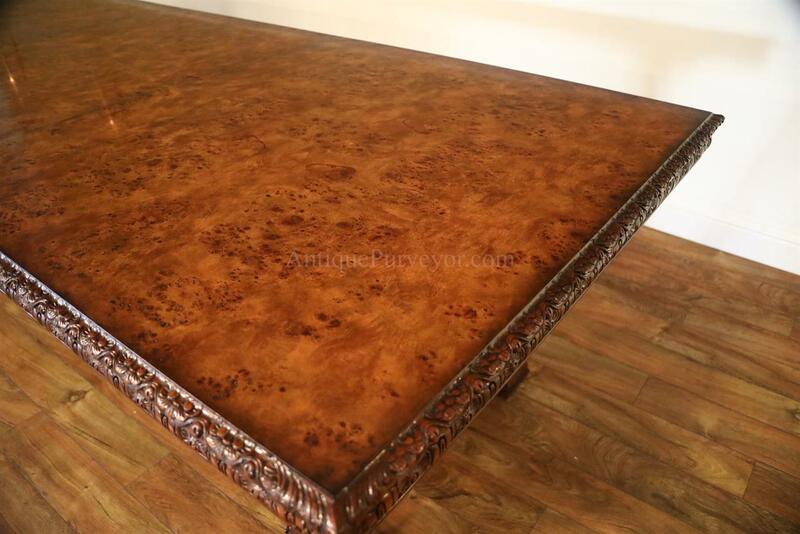 Warm brown walnut finished burly walnut extension table for an expansive space. 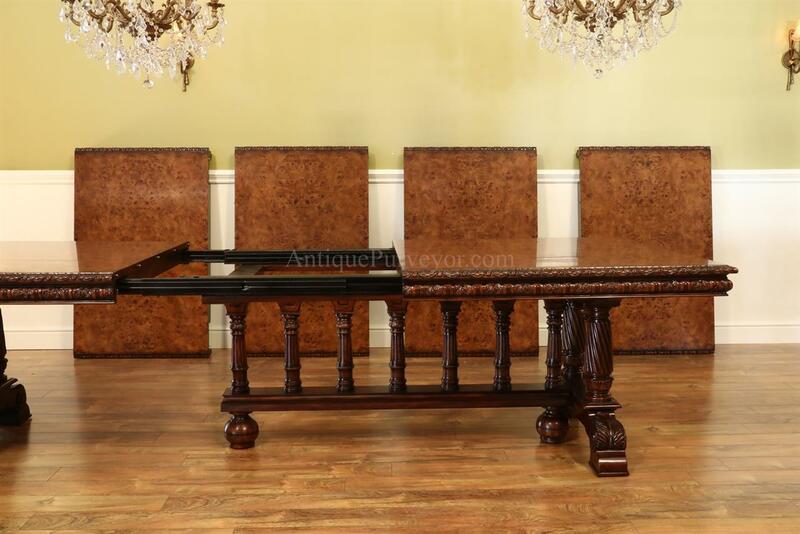 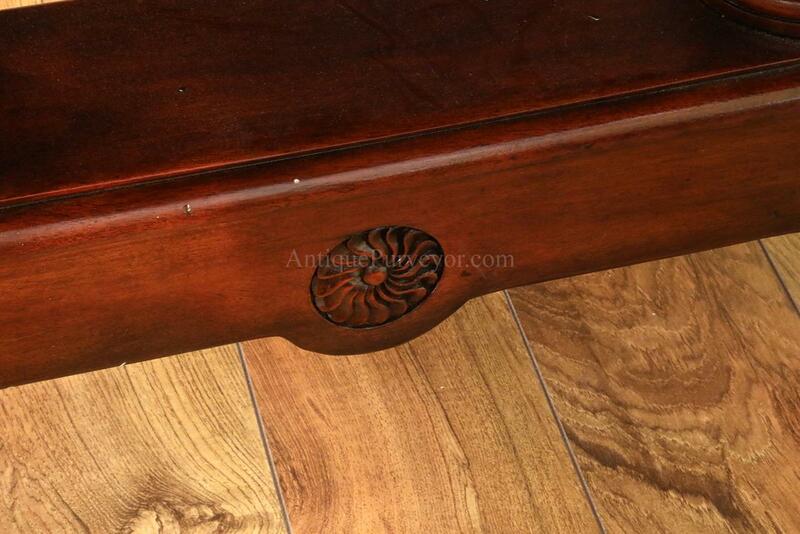 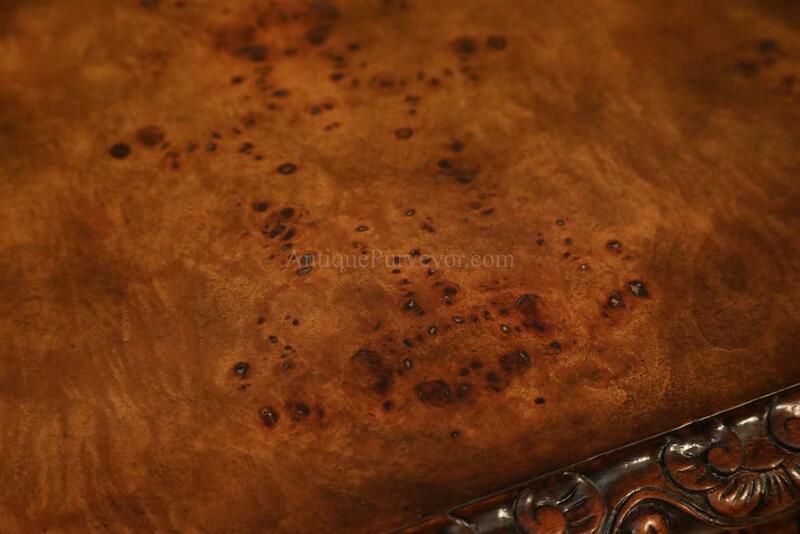 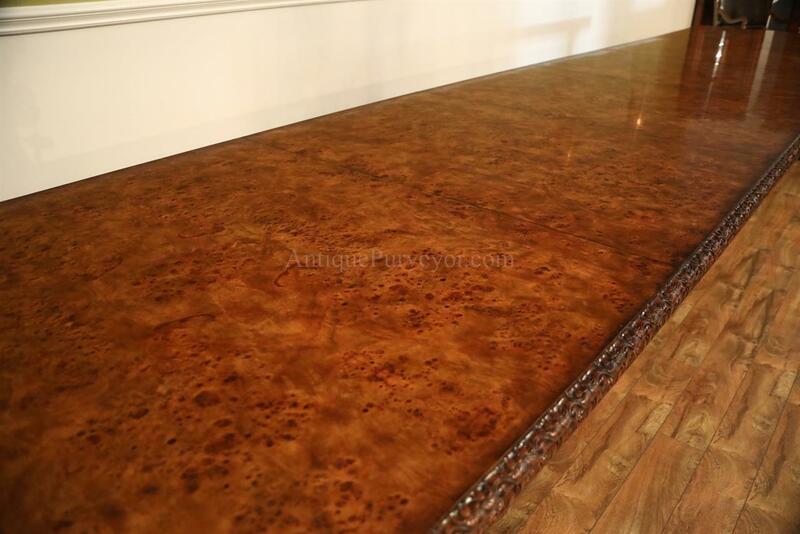 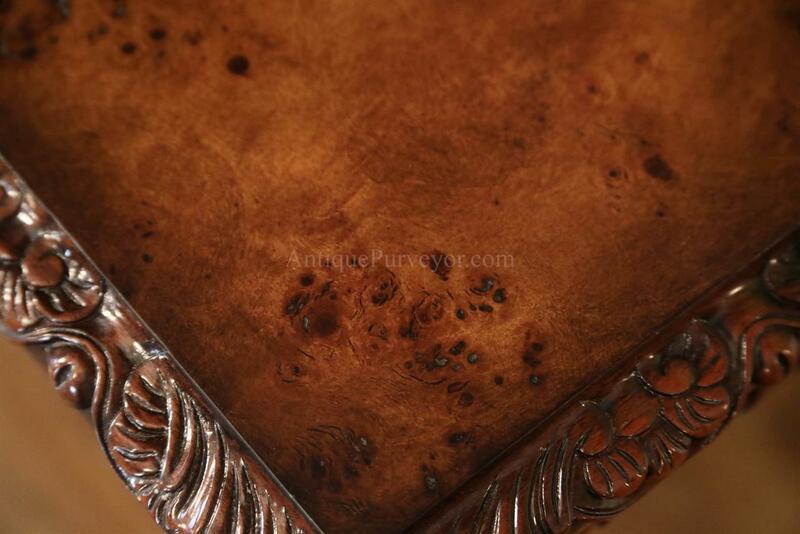 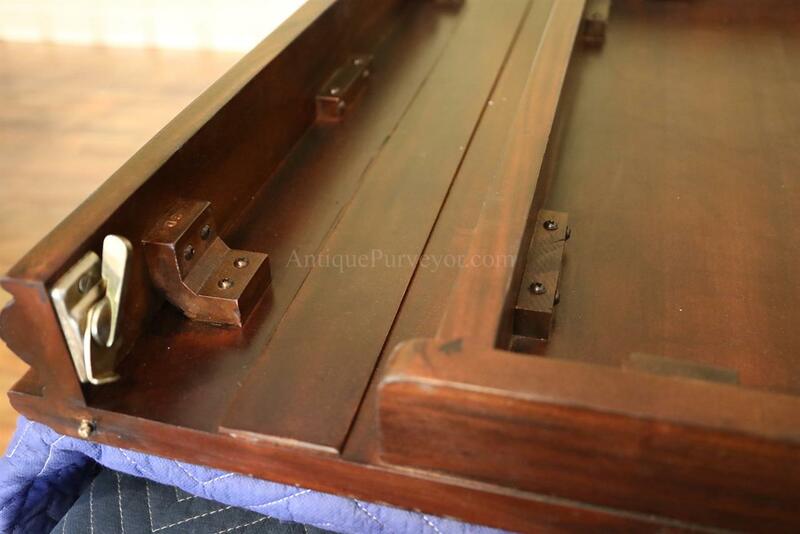 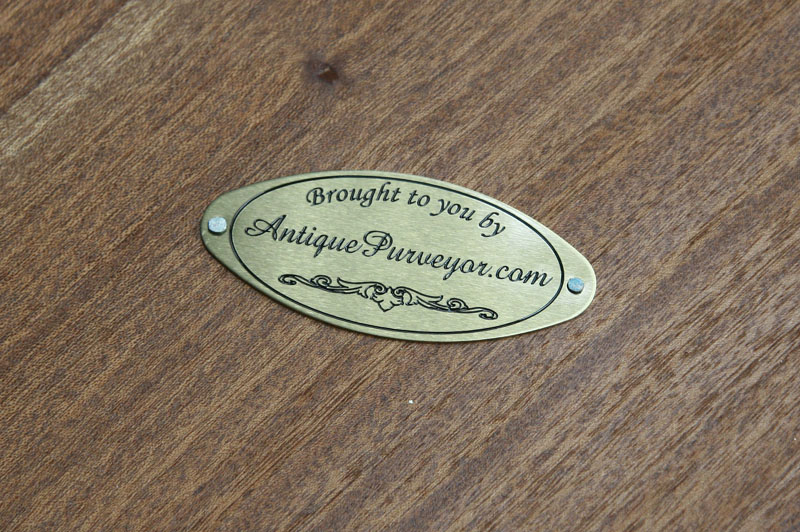 This style table would also be perfectly suited for a Victorian style home or office. This table was designed to be used with no leaves, 2 leaves or all 4 leaves. 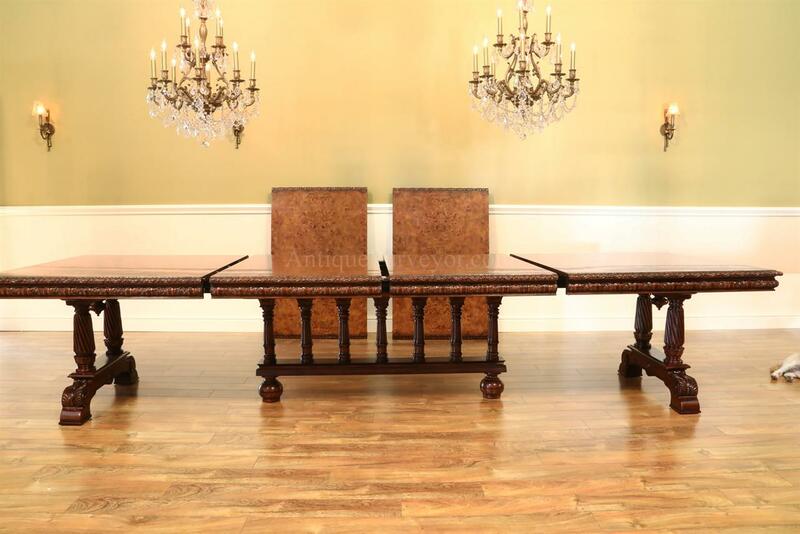 Each extension will add 30 inches to the table's length ( 60 per pair) and they are installed evenly on both sides of center. 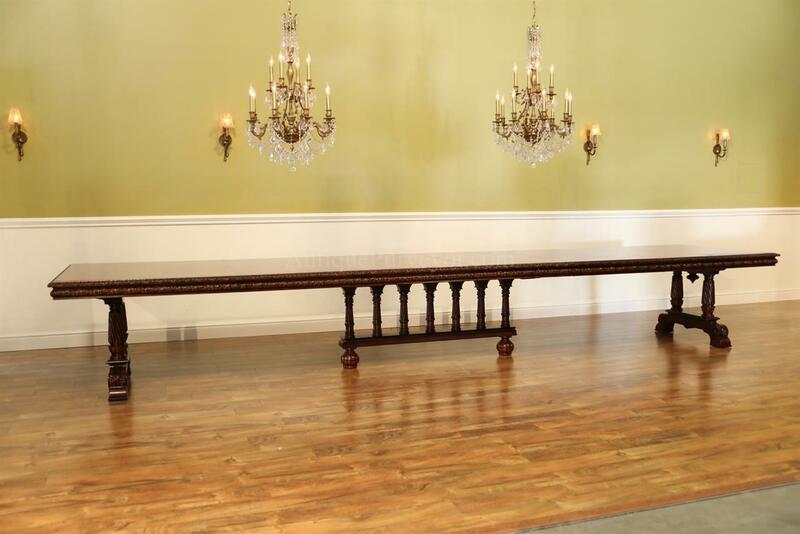 The table's overall length can be configured to 85, 145 or 205 inches. 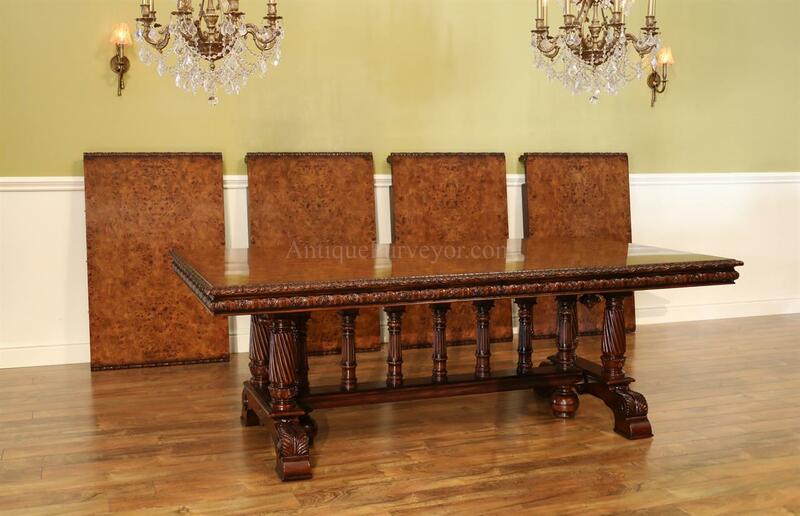 This table seats 8 to 20 people! 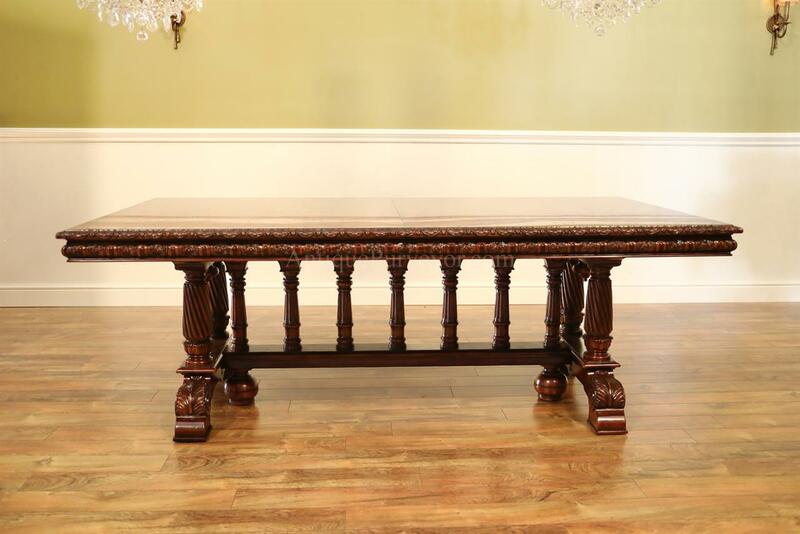 The center section of this table can stay at the center of your room as each side of the table opens to accept extensions. 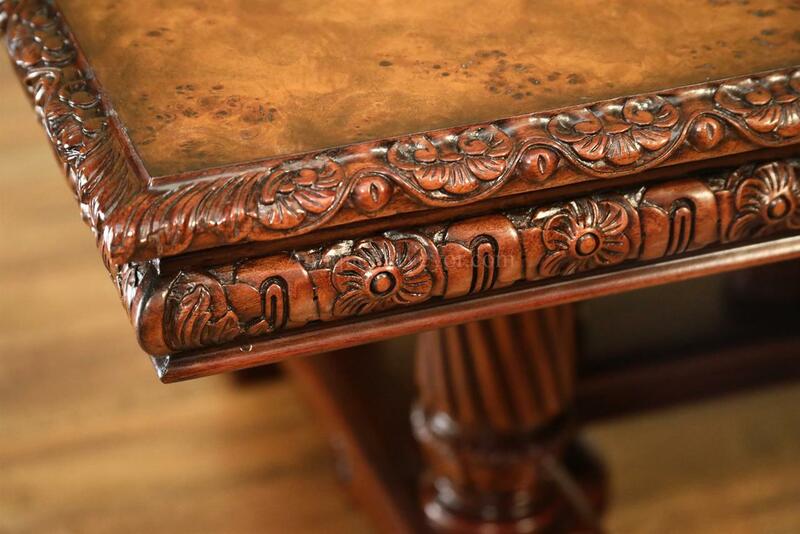 You can use an odd number of leaves to achieve different lengths and obviously that type of layout would not be symetrical but the table would function perfectly fine. 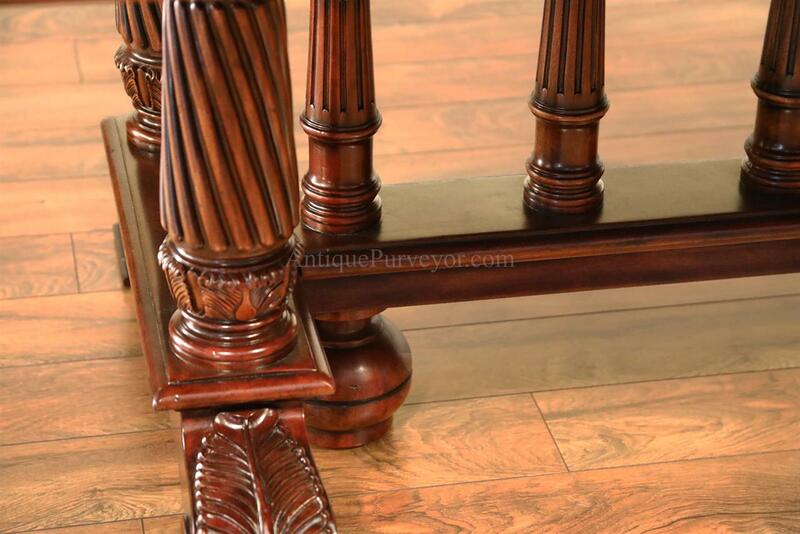 The table is very well made, it is heavy and sturdy. 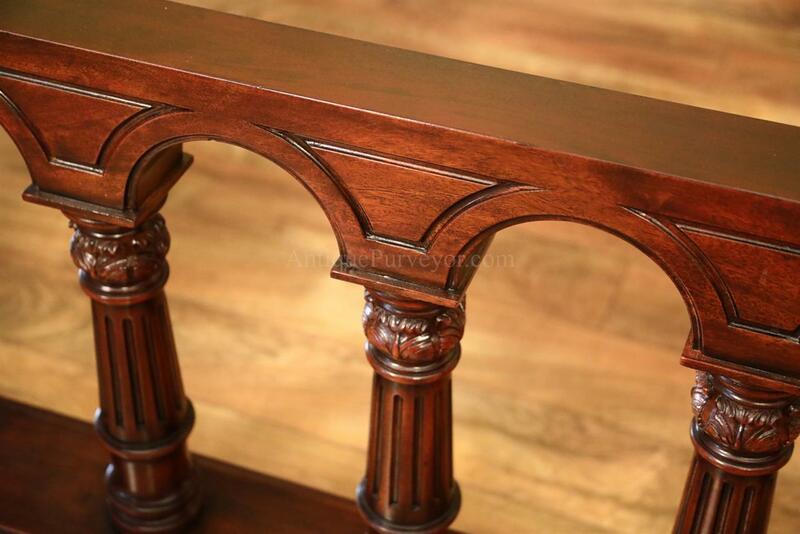 It has a family freindly finish which is not fussy. 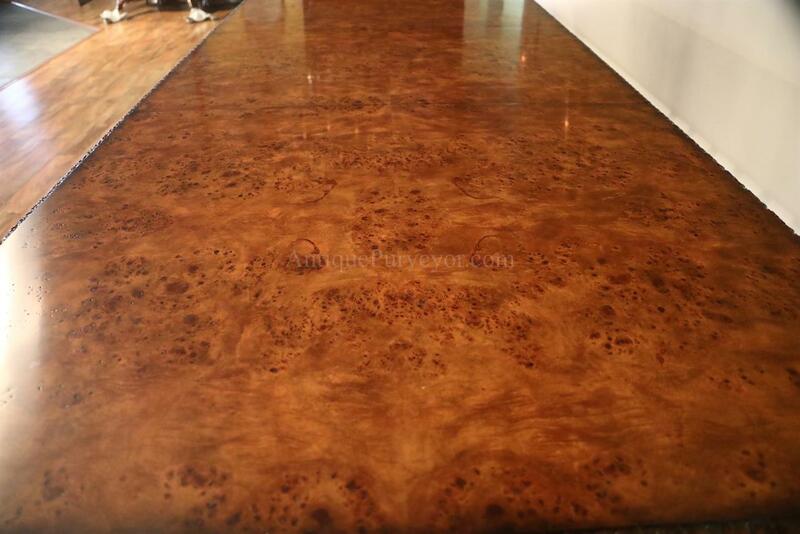 The finish might also be a good finish for commercial spaces as in a conference room. 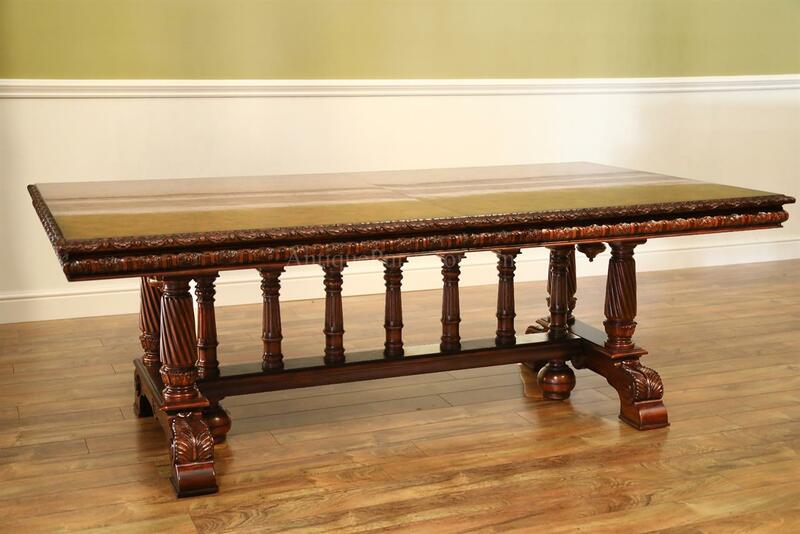 This table is usually made to order but we made this table for our own inventory. 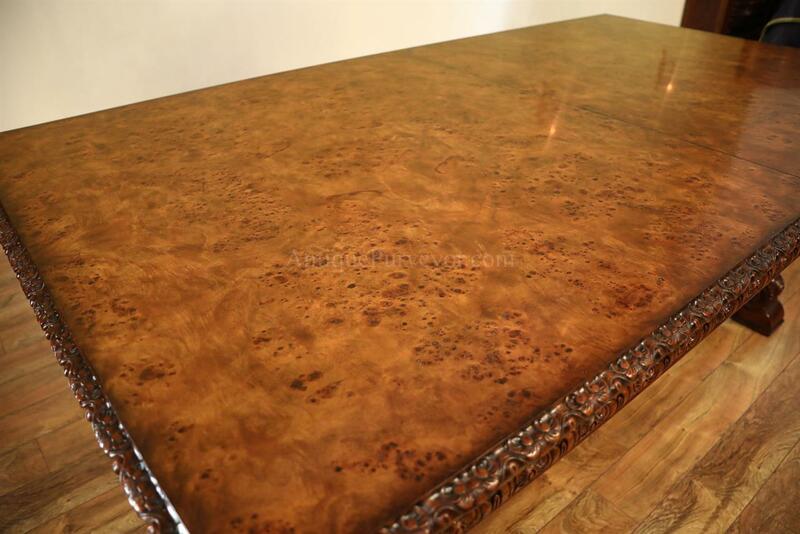 Once this table sells lead time would go back to 4-6 months. 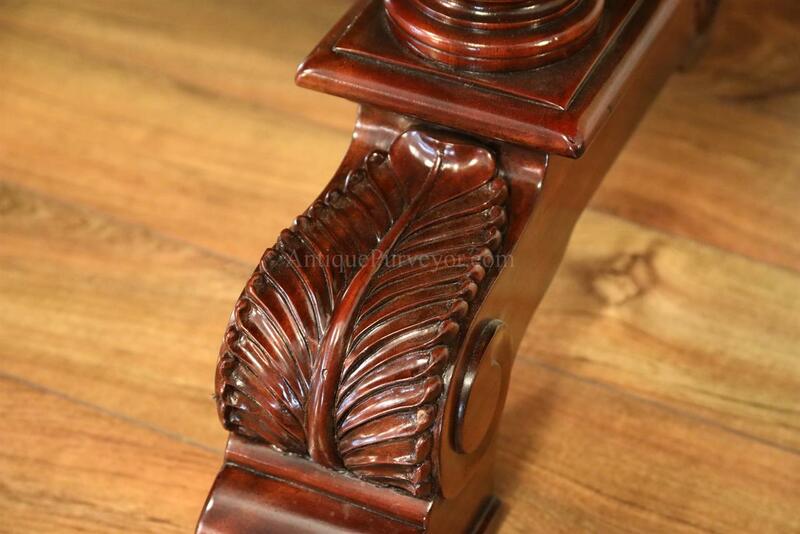 It is very good quality and will serve you for generations.